Jon and Chris Thornham combined an engineering background, a passion for cycling, and business acumen to create high-performance, direct-to-consumer bike wheels and rims. Using Autodesk software, they develop and test designs based on real-world data, creating products with the aerodynamics and speed to rival those of leading competitors. As identical twin brothers, Jon and Chris Thornham share much more than physical appearance. They have a pretty identical background, too. Upon graduating from high school, both pursued mechanical engineering degrees at the University of New Brunswick, where they first encountered AutoCAD. With their degrees in hand, they accepted positions in Las Vegas, working together designing wastewater systems before moving on to roles as sales engineers. But five years ago, a design and business opportunity became readily apparent to Chris. As a triathlete, he was struck by the high price of rims for his bike. The sticker shock and disparity between quality and lower prices turned into what would become a start-up founded by the two brothers: Flo Cycling. Chris Thornham rides a bike fitted with Flo Cycling wheels. “I actually wasn’t a cyclist, but Chris was looking for race wheels,” Jon says. “There were two types of companies at the time. Some did a lot of R&D with lots of engineering work and studied aerodynamics. They produced very fast wheels, but they were sold through standard distribution. That meant many lines of markup, especially in the cycling world. In the end, it was just a very expensive product, ranging anywhere between $2,500 and $3,000 per set. With their mechanical engineering backgrounds, Jon and Chris knew they could make an incredible product and keep the price low with a direct-to-consumer business model. So they took that leap of faith to give it a shot. 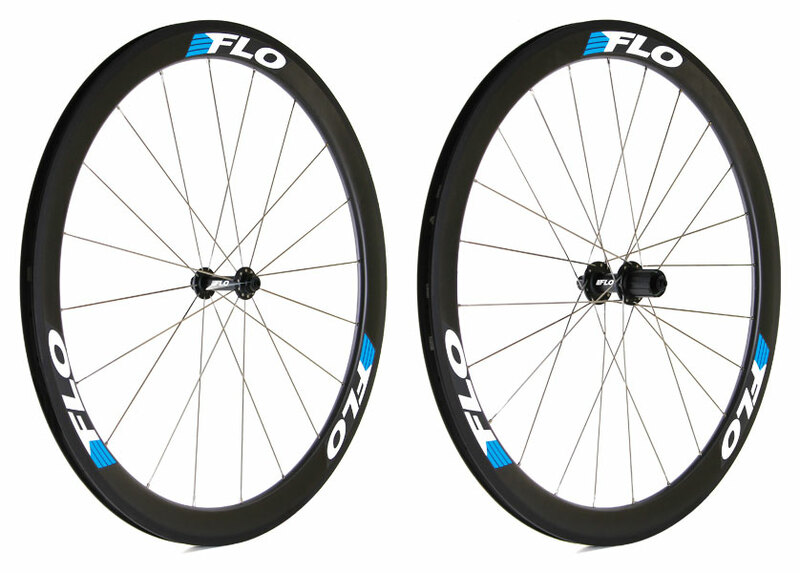 For their first design of the FLO 60, 90, and DISC, they used both Inventor and AutoCAD. AutoCAD was crucial in communicating with the Taiwanese manufacturer because it required DWG files. "By drafting everything in Autodesk software and using computational fluid dynamics software, we could study how a design might perform in a wind tunnel without all of the cost." 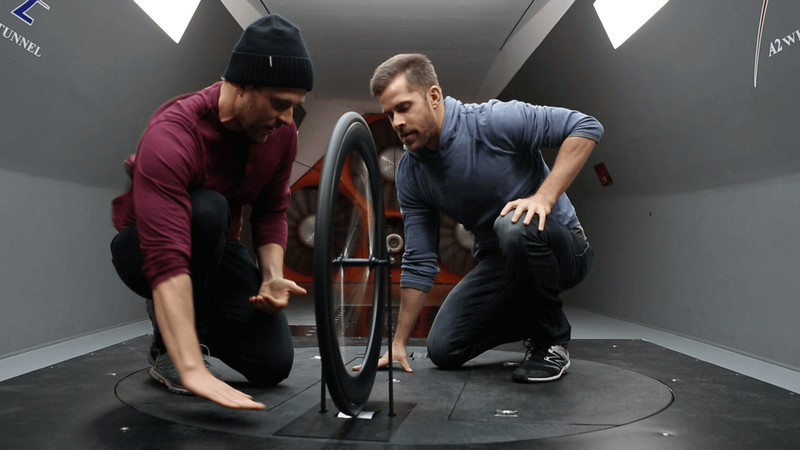 Chris (left) and Jon Thornham test the aerodynamics of a Flo Cycling design in a wind tunnel.